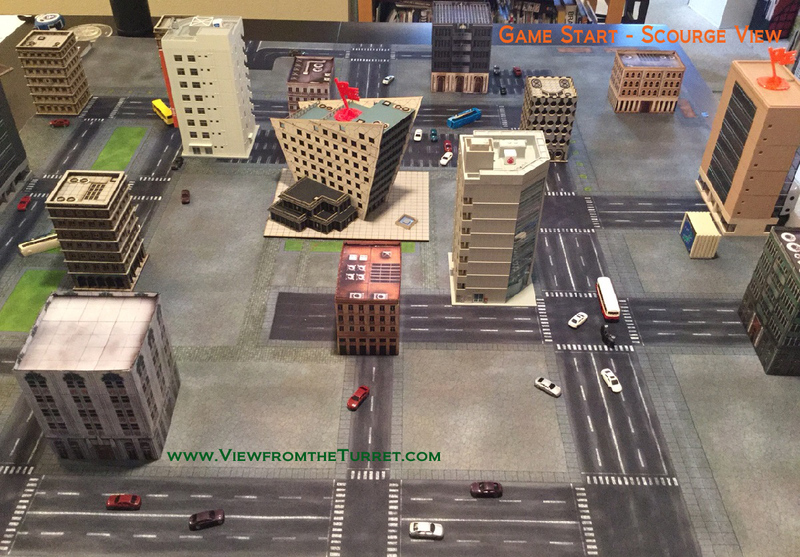 We recently got in some games of Dropzone Commander. 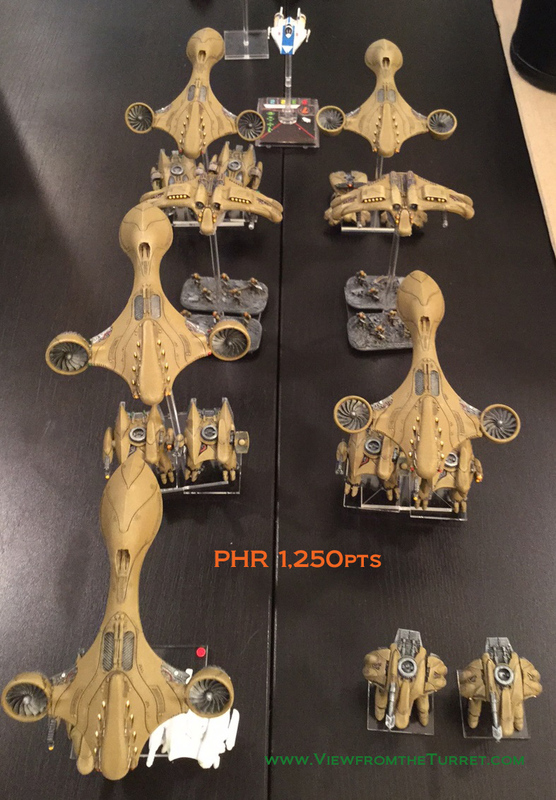 We played PHR vs Scourge at 1,250pts. We went for force lists that had a mix of forces instead of ones optimized for maximum performance. 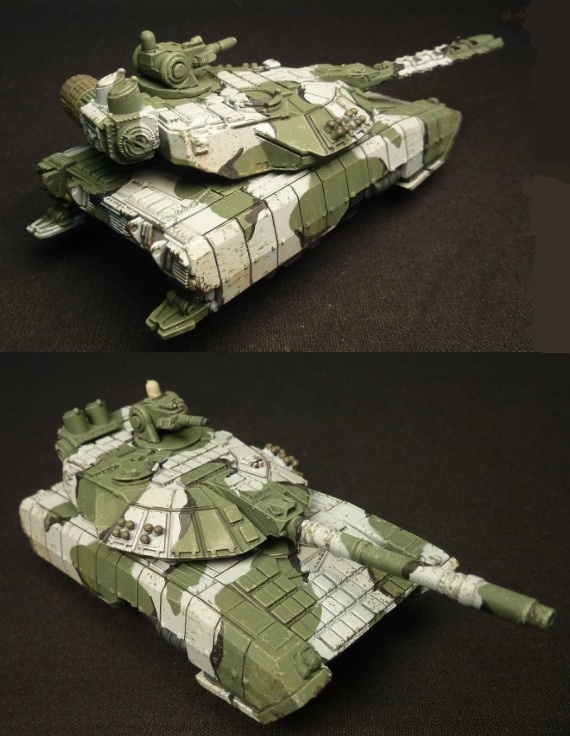 For the PHR we had one unpainted model. It was actually a proxy for an Hyperion. We also had to proxy in an A-Wing for an Athena. We chose two mixed Ares and Phobos squads that we think worked out quite well. Walkers and skimmers are based on Litko clear acrylic bases. For the Scourge we had everything painted and no proxies. The extra infantry came in handy. 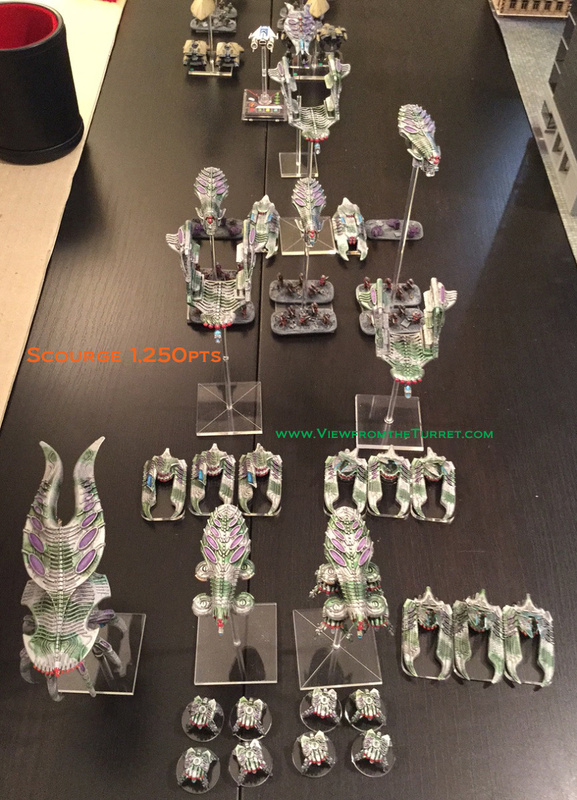 Skimmers and walkers are based on custom Litko acrylic bases. 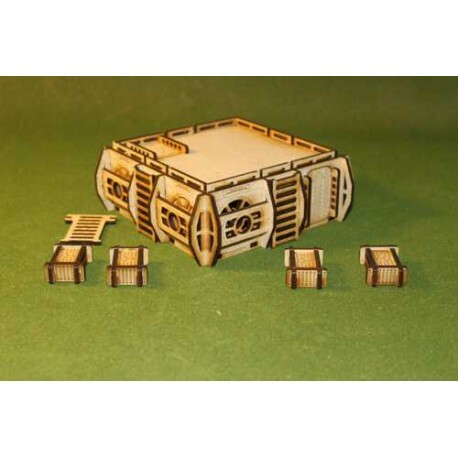 For the skimmers we use 3mm thick bases to give them a hovering look and also add a touch of mass. 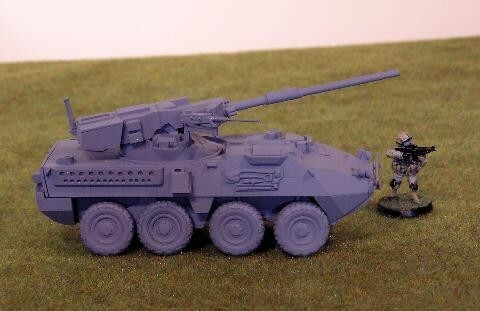 For both forces we used an ID system of a colored square on the left of the stand/unit for the battlegroup (HQ had none) and a colored dot on the right for squad association. This worked out very well and makes it easy to keep what transport goes with what straight during the heat of battle. 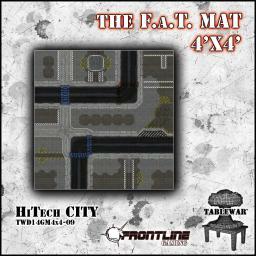 For the table we used Frontline Gaming’s Urban Zone F.A.T. 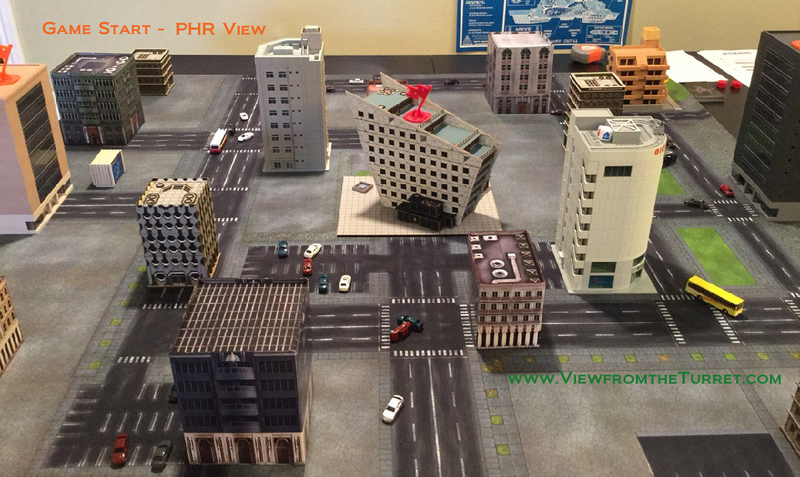 Mat with a mix of Hawk card buildings, 4Ground 10mm and Kato N-Scale buildings. As you can see they all mix together just fine. All the buildings have their own advantages and disadvantages. The “traffic” are N-scale model railroad cars and buses. The various smoke and flame markers are from Litko. The battles were fierce with some dramatic moments in all games. 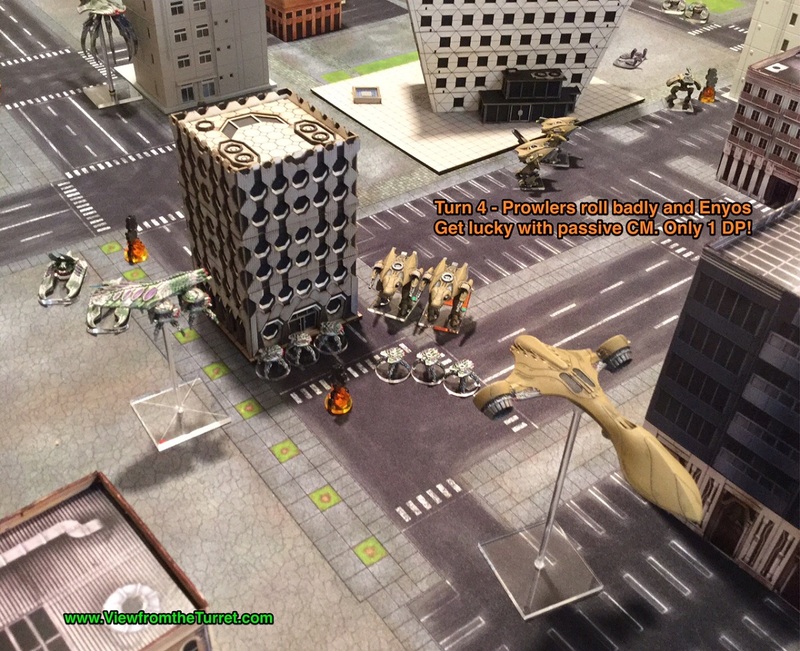 Here is a shot of a pack of Prowlers hunting down some Enyos. The PHR Passive save came in handy. On turn 5 of one game the Scourge Desolator went down hard before getting in much of a punch. It left a nice crater! 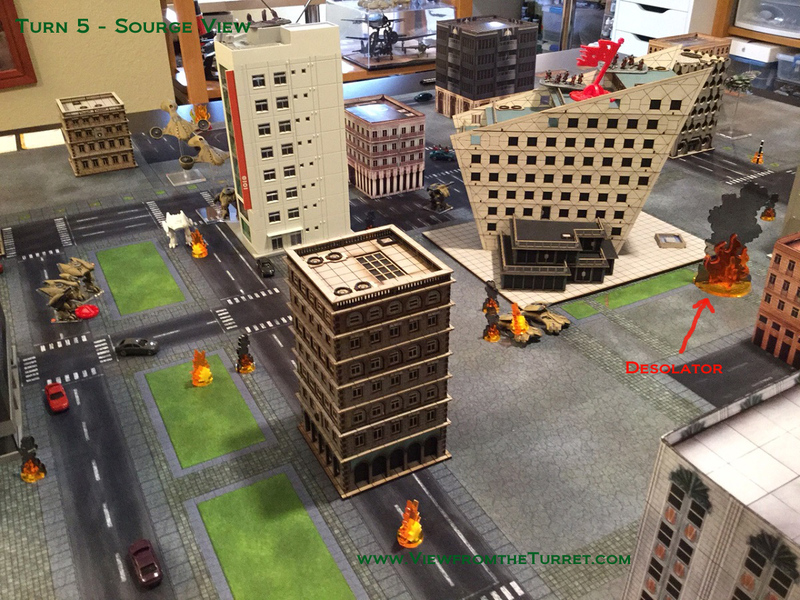 You can also see the general heavy carnage all around. To our surprise the fast movers more than made back their points. Sure there were a few cases where they didn’t show but they often came in and had an effect at critical points of the battle. In one case the PHR were about to move an objective off the table and the Scourge Corsair came in and shot it down at the last moment! In one game the Athena shot down the Corsair early in the game and then enjoyed strafing the Scourge almost with impunity thereafter. 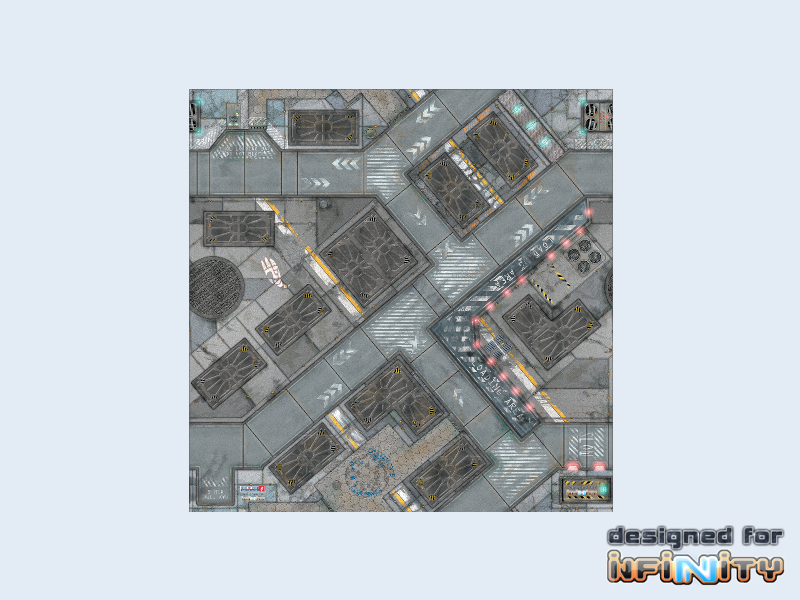 If you have any interest in sci-fi tactical gaming you should give Dropzone Commander a shot. It plays great and all games are fun and often come down to the wire. 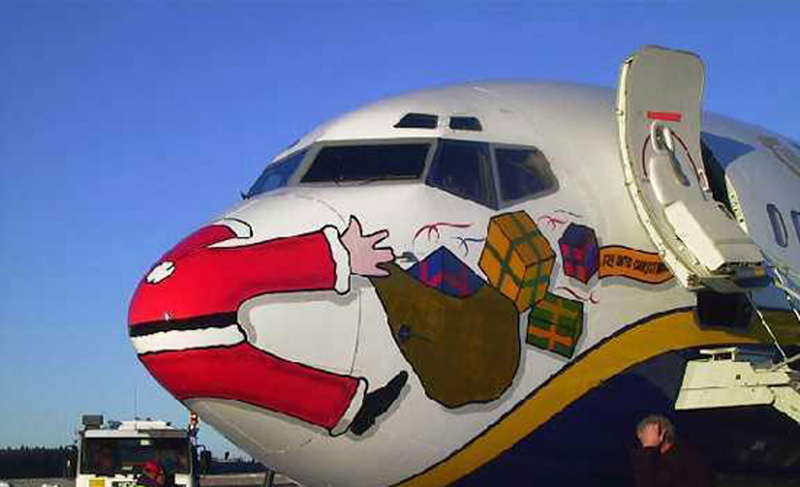 Just remember to keep your eye on the mission objective! 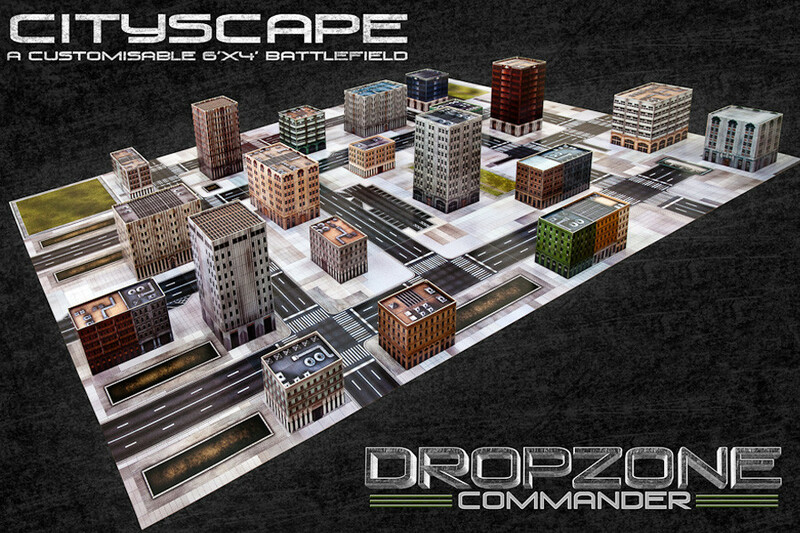 This entry was posted in 10mm, Dropzone Commander, Miniature Wargames, Wargames. 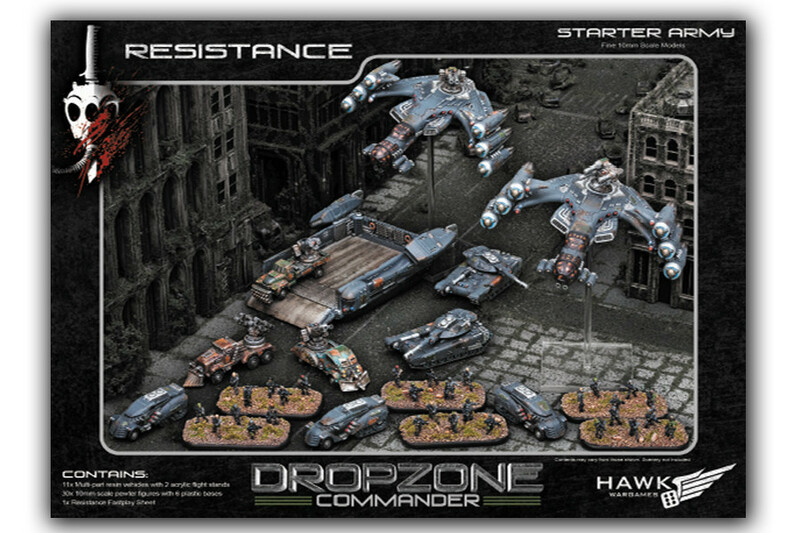 Hawk Wargames made a big splash with the announcement of their newest Dropzone Commander starter set. 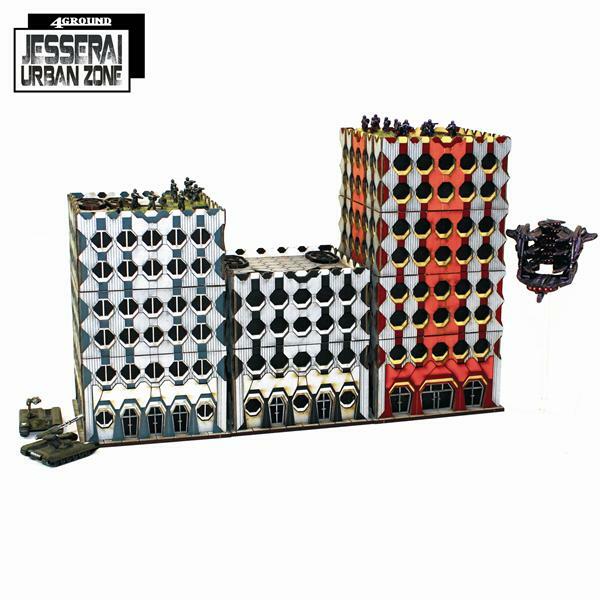 Unlike their previous starter sets this one is for two players and contains the v1.1 rulebook, maps, card buildings, dice, tape measure, reference cards and plastic miniatures for the Scourge and UCM. 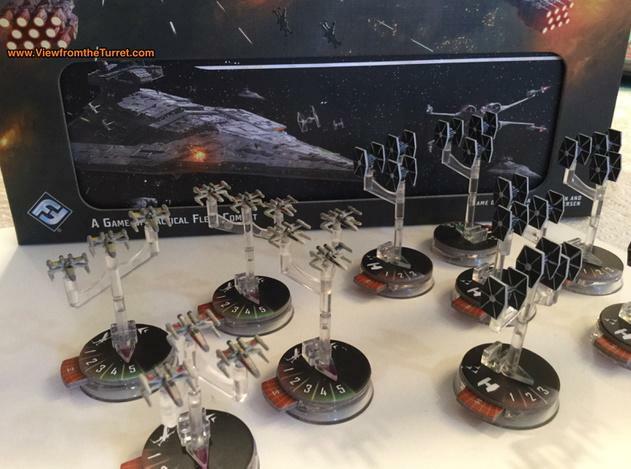 The miniatures look very nice. The detail is not quite as good as the resin miniatures but plastic is far easier to work with and will not have the random quality control issues the resin miniatures occasionally have. Moreover, they’ve made some minor changes to the miniatures such as the UCM Condor Dropship now has a clear canopy and the Bear APC has a one piece top hull so no more seams to fill! Overall this is quite an amazing set. Considering it is coming from a new and small game publisher is even more surprising. 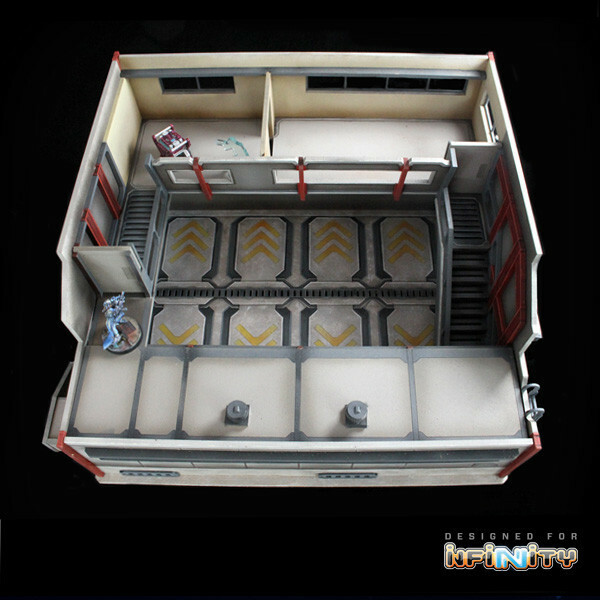 Hopefully the plastic miniatures, as well as new sets, will be available separately in the future. 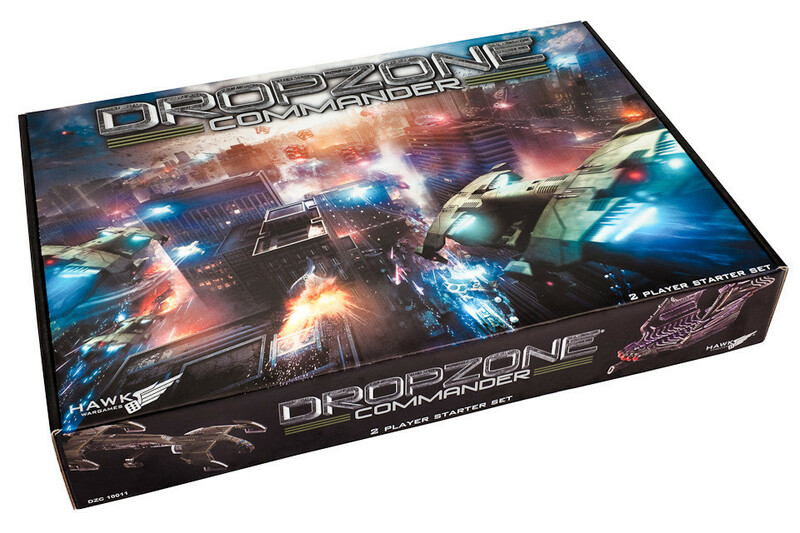 If you haven’t tried Dropzone Commander yet this is an excellent way to start. 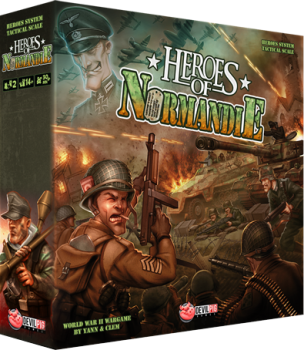 If you are a veteran it might be worth it for the miniatures and v1.1 rulebook (if you haven’t bought it yet). 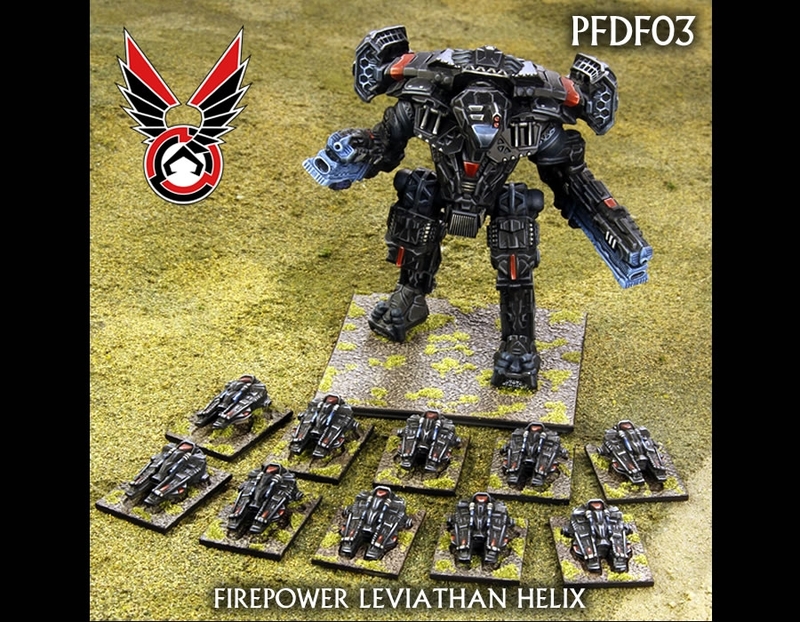 See the Beasts of War unboxing video and the Hawk Newsletter for additional details. 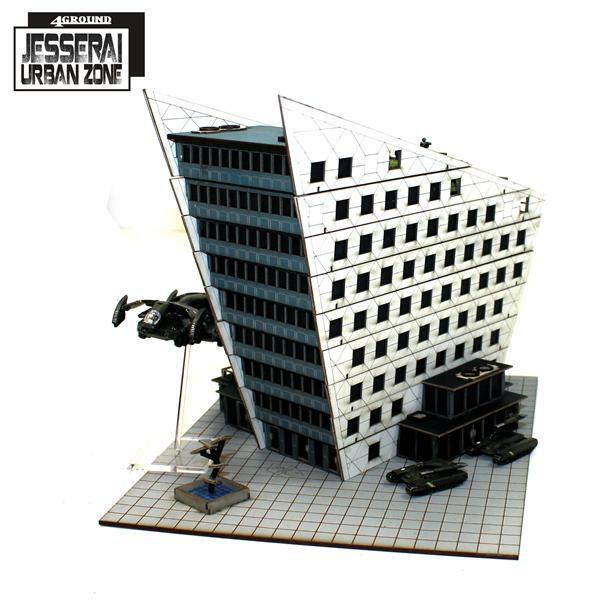 This entry was posted in Dropzone Commander, Miniature Wargames, News and Updates, Sci-Fi.